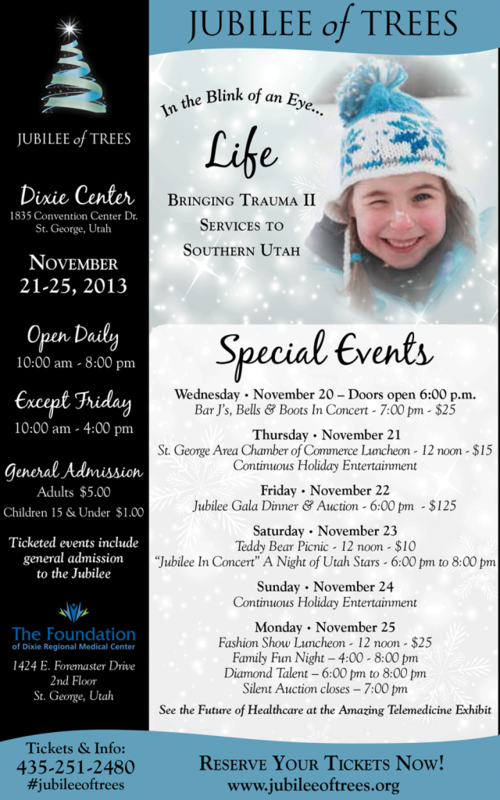 Volunteer-driven with Southern Utah talent and hospitality, the Jubilee of Trees is a tradition attracting friends and neighbors to gather and welcome the holiday season. 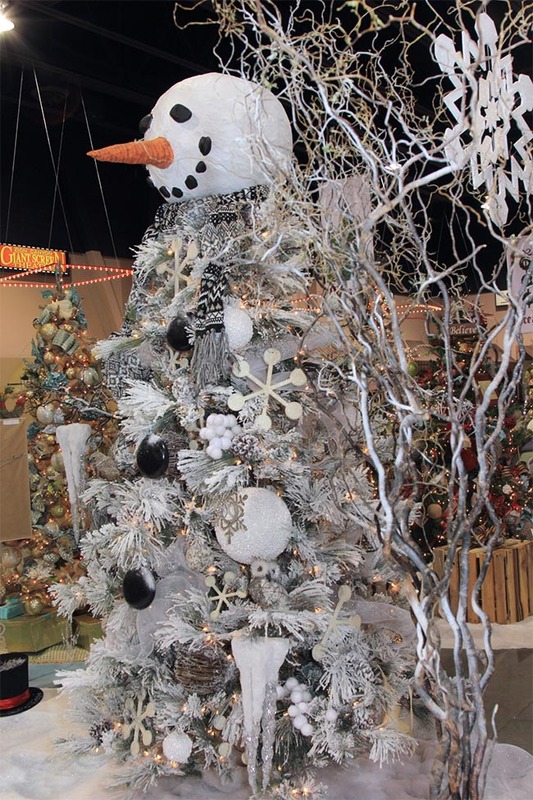 The Jubilee showcases a magical wonderland of custom-designed, full-size Christmas trees, mini- and table-top trees, holiday wreaths, gingerbread houses, gifts and seasonal décor. Amid the trees, several special events, including Teddy Bear Picnic for children, a fashion show, concerts and a dynamic celebratory spirit, appeal to all ages. The Jubilee of Trees is organized by the Foundation of Dixie Regional Medical Center and is the the hospital’s premier fundraising event. The Jubilee of Trees was designed to generate money for the health care needs of the community – funds raised have helped to open the River Road facility, expand charitable lodging, secure Life Flight rotary air ambulance, enhance newborn intensive care, support breast cancer care, and introduce neurosciences and neurosurgery. From labor and delivery beds in the early 1980s to charitable lodging and cancer services in the ‘90s, the Jubilee of Trees has provided immeasurable support and funding, with thanks to a generous community. It all starts Wednesday evening with the Bar J Wranglers special ticketed concert, and doors open to the public on Thursday through Monday, including Sunday, daily at 10 a.m. Particulars follow. Hailing from Jackson Hole, Wyo., the Bar J Wranglers concert provides a toe-tappin’ and knee-slappin’ night of pure talent and cowboy entertainment. The concert is two-parts music, two-parts stand-up comedy and all-out entertainment. Concert, chocolate fondue dessert, and a preview of the Jubilee showcase and shops await all who attend. The Jubilee Chamber Luncheon takes place amidst the wonder of the Jubilee trees, with keynote speaker Terri L. Kane, vice president of Intermountain Healthcare Southwest Region. This elegant evening of socializing and gourmet dining is the premier event of the Jubilee of Trees. Guests at the Gala will receive first choice in a live auction as they bid on 15 of the finest custom-designed trees at the Jubilee, as well as items including one-of-a-kind trips, dazzling jewelry, magnificent works of art and much more. The ambience of the holidays comes alive on the Jubilee of Trees fashion show runway. Guests will preview styles from local retailers that are totally “hot” for all the upcoming seasons. Hours: Thursday, Saturday, Sunday, Monday 10 a.m. to 8 p.m. | Friday 10 a.m. to 4 p.m.